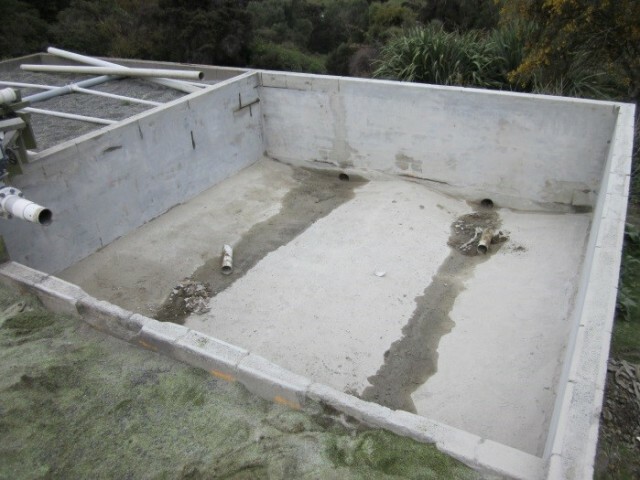 The surface of the concrete block and plaster tanks at the Tikau Bay waste-water treatment plant were corroded and in need of repairs and long term protection. RhinoChem 2170 chemical and abrasion resistant polyurethane spray lining was recommended. To eliminate H2S attack of the concrete tank surface and prevent concrete plaster going through the pump system. 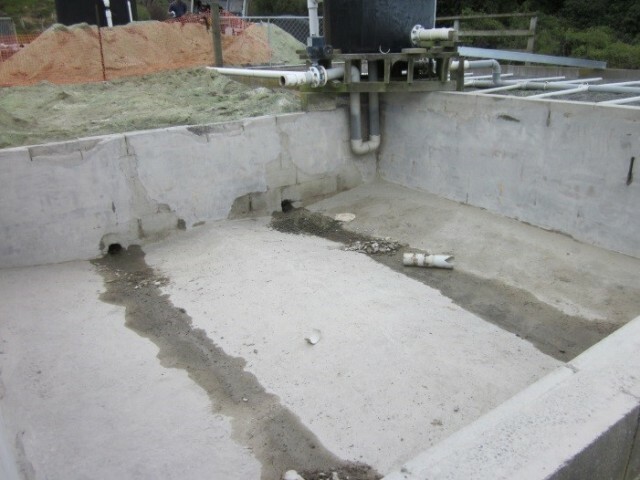 The concrete surface was cleaned and high-pressure water blasted. Repairs were made prior to priming and spray applying RhinoChem 2170 chemical and abrasion resistant polyurethane spray lining. RhinoChem 2170 was specified for this project due to its resistance to wastewater and H2S attack found in the head space. RhinoChem 2170 has high bond strength to concrete and is abrasion resistant yet flexible in a continuous wastewater environment. 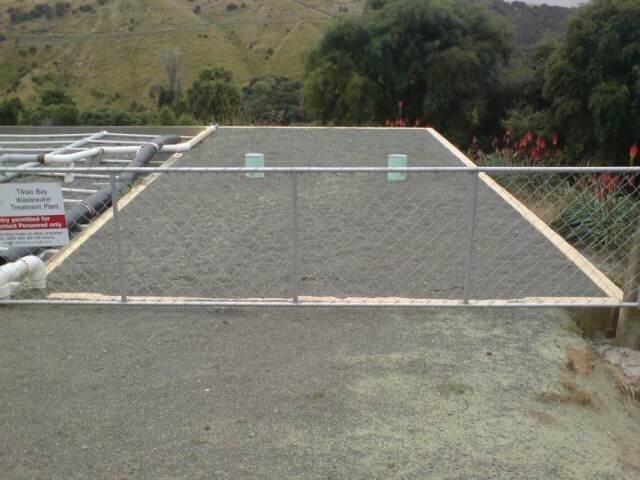 This project was undertaken and completed by NZ Spraylinings.